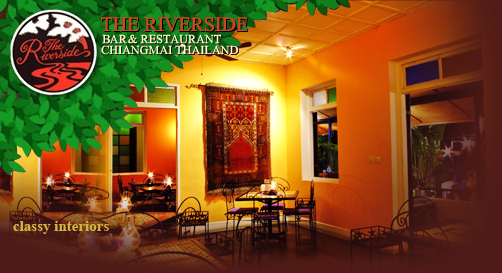 No visit to Northern Thailand is complete without experiencing the Riverside. 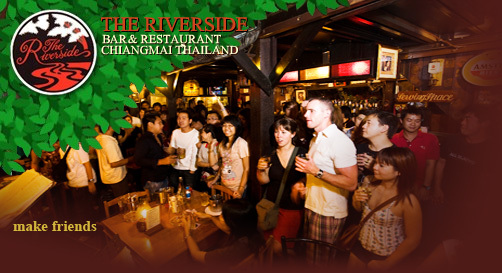 Chiang Mai's legendary pub and restaurant. 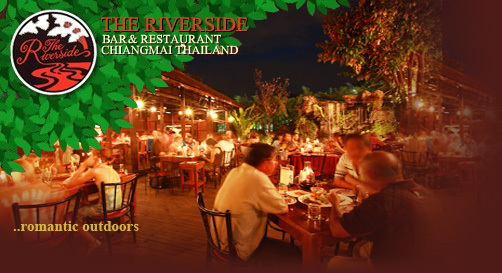 Subtle combinations of candle light, excellent cuisine, both Thai and western, exotic cooktails and a wide variety of draft beers make this a unique place to spend your evenings. 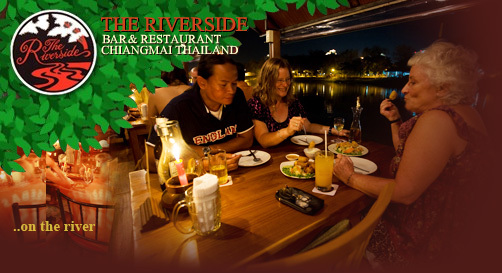 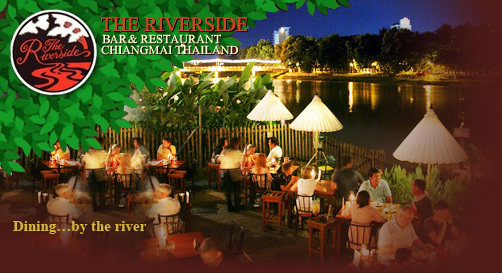 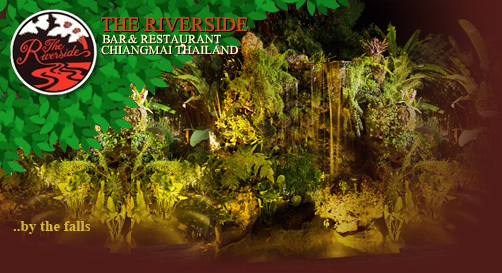 The Riverside sits on a quiet pretty stretch of the Ping River providing a courteous and first class service since 1984. 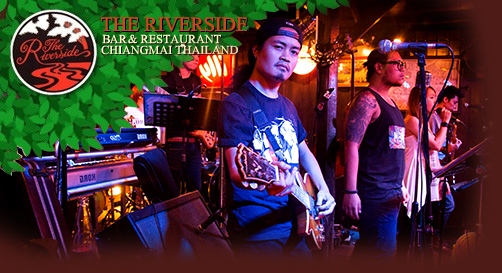 This extraordinary dreamy setting for a romantic dinner ca also transform into a great party venue with live music from the areas hottest bands to dance to until the early hours.